An issue that politicians have tried for years to resolve -- how to regulate Los Angeles' medical marijuana dispensaries -- will be on the ballot Tuesday when voters decide on three measures involving the number of dispensaries and sales taxes. LA has tried for more than five years to balance medical needs with neighborhood concerns about medical marijuana dispensaries operating in the city. Three measures on Tuesday's ballot seek to either curb the number of dispensaries or allow new ones to open. Measure D would restrict the number of medical marijuana dispensaries to the original 135 approved before a 2007 requirement that dispensaries register with the city. The measure would apply a tax of $60 for every $1,000 in sales. "Why don't we start with a conservative strategy?" said Los Angeles Councilmember Bill Rosendahl, who credited medical marijuana with helping his fight against cancer. "We take a deep breath, see how it goes, and then we can go from there." A rival proposal was placed on the ballot after a signature drive. Measure F would allow for unlimited dispensaries and call for a 20-percent sales tax. The measure would require worker background checks and several stringent requirements, according to supporters. Proponents also claim zoning language, which outlines where dispensaries could operate, in the measure ensures the number would be limited to about 400. "Proposition F provides a sufficient number of dispensaries that allows patients to have the access they need to medical marijuana," said Michael Bustamante, of the "Yes on F, No on D" campaign. A third measure would, like Measure D, cap the number of dispensaries at 135, but appears to have little chance of passing. Measure E, which includes no new taxes, was placed on ballot by the United Food and Commerical Workers union, which has since withdrawn support and backed Measure D.
"There's been absolutely no control, and that's what has hurt the city," Brennan Thicke, who runs a pot clinic called the Venice Beach Care Center, told the Associated Press. "At this point, voters need to finally decide this issue. 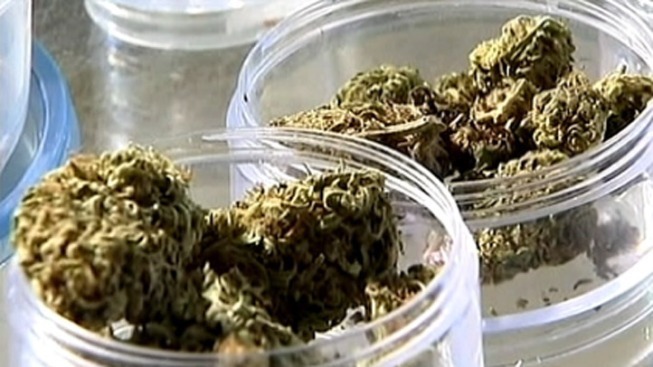 There's been an overwhelming belief in this city that medical marijuana should not go away." The measure with the most votes wins, but only if it collects a majority of the vote. If no measure gains more than 50 percent of the vote, the issue could return to the Los Angeles City Council. The council has been unsuccessful in the past when it attempted to manage medical marijuana dispensaries. The council required dispensaries to register in 2007 and approved an ordinance three years later that limited the number of shops from about 1,000 to 70. That led to lawsuits from operators and the ordinance expired last year. Last summer, the city approved a ban that was repealed just two months later after enough signatures were gathered to get the measures on the ballot. The election will come just days after the California Supreme Court ruled that neither the state's voter-approved law legalizing medical marijuana nor a companion measure adopted by the Legislature prevent local governments from using their land use and zoning powers to prohibit storefront dispensaries. The ruling came in a legal challenge to a ban enacted by the city of Riverside in 2010.